A little bit country; a little bit rock and roll. Plus club, pop, disco and straight-up old-school boy-band. That was September for our wedding couples and their guests. 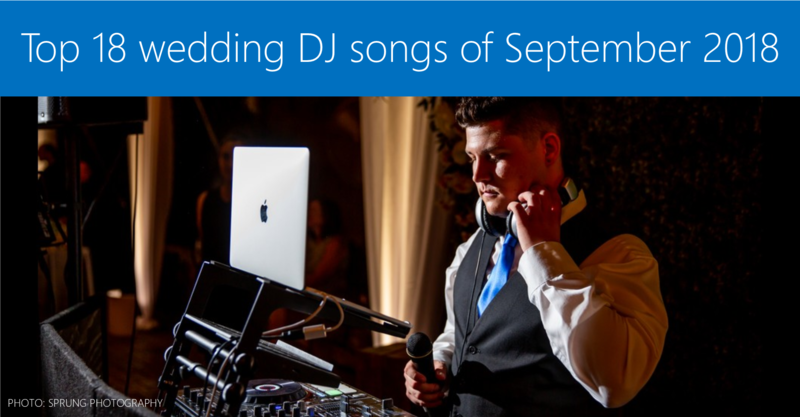 Which songs were biggest on Chicago wedding DJ dance floors last month? We ask our team that question every week. Here were some of their top plays for last month, September 2018. This list is NOT scientific. If you want to know which songs are statistically popular across the country, there are plenty of other places to look. There are just our DJs' memories of what happened with one particular group of guests at one particular event over the last few weeks. And what happened was, those guests partied down. It's not just what you play; it's also when you play it. Some of the songs below might be terrible with a different crowd - or even with the same crowd, played at a different time of night. That's why DJs beat jukeboxes: They've learned to take your requests, read your dance floor, and then put your music in the right context to make it a party.